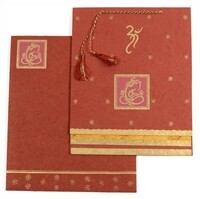 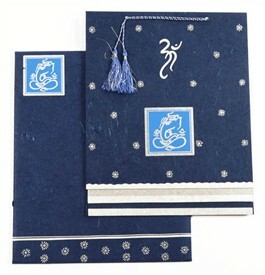 D-4918, Red Color, Handmade Paper, Hindu Cards. 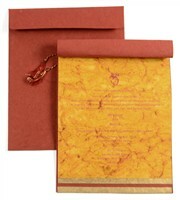 Red handmade paper (220gsm) for card, 1 inserts and mailing envelope. 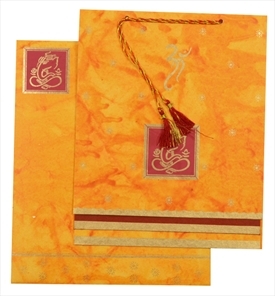 Second insert in Yellow batik handmade paper. 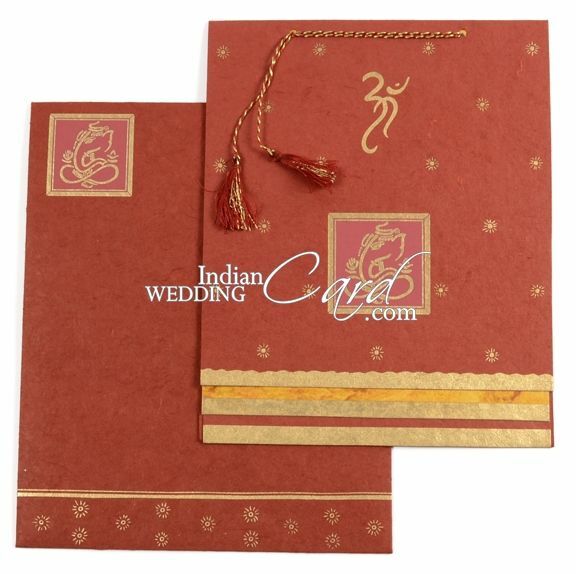 Silk Screen printing in deep red and gold color.